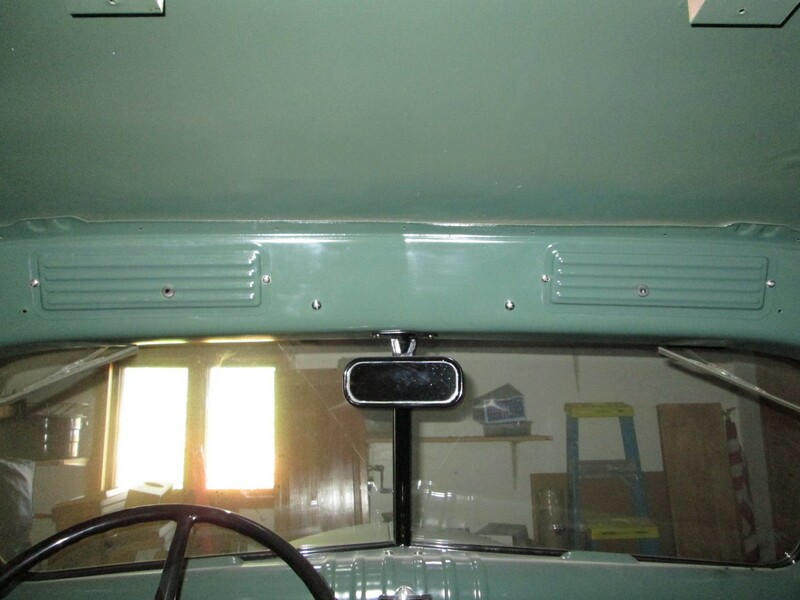 Power Wagon running board brackets, floor pans, kick panels, running boards, bed trim, refurbished original parts, windshield regulator rebuilding, speedometer rebuilding service, for your Dodge Power Wagon. 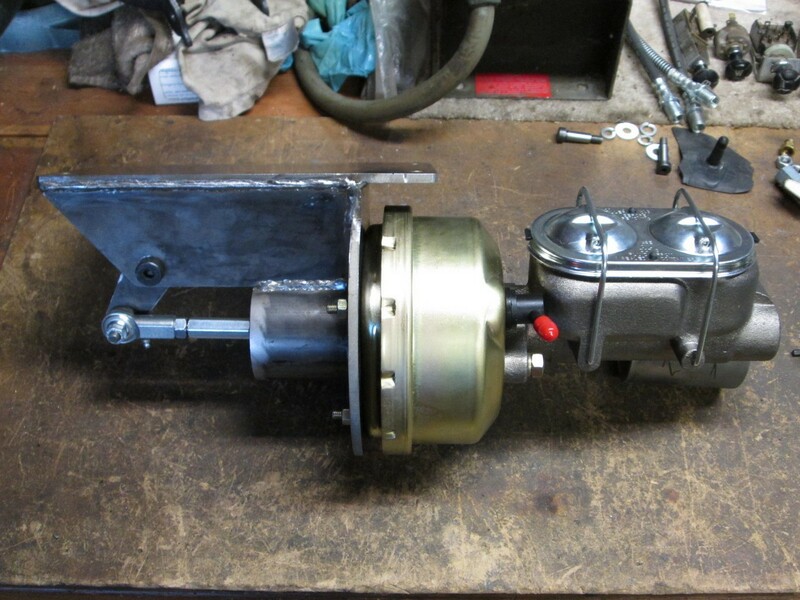 Undercab Mounted Dual Circuit Power Brake Kit - Includes all parts, hardware and detailed instructions to install the system on your Dodge WDX-WM Power Wagon or WC 3/4 ton and 1-1/2 ton using the original factory brake pedal. $795.00 plus shipping. 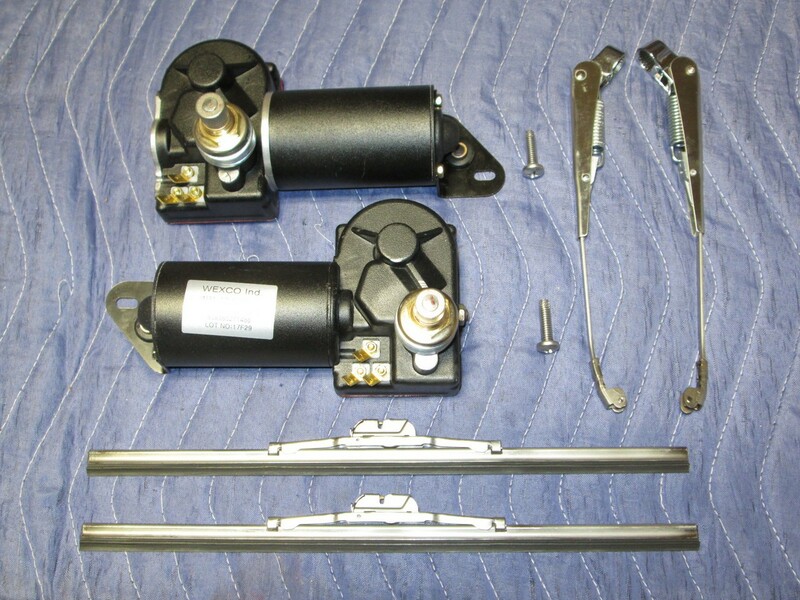 Heavy Duty Electric Wiper Kit - Includes two 12v wiper motors, wiper arms and blades, and detailed instructions to install the system on you Dodge WDX-WM Power Wagon, or Closed Cab WC 1/2 ton and 3/4 ton, without major modifications to the interior of the truck. $800.00, shipping included. Lots of parts for all styles of Power Wagons, and military trucks. 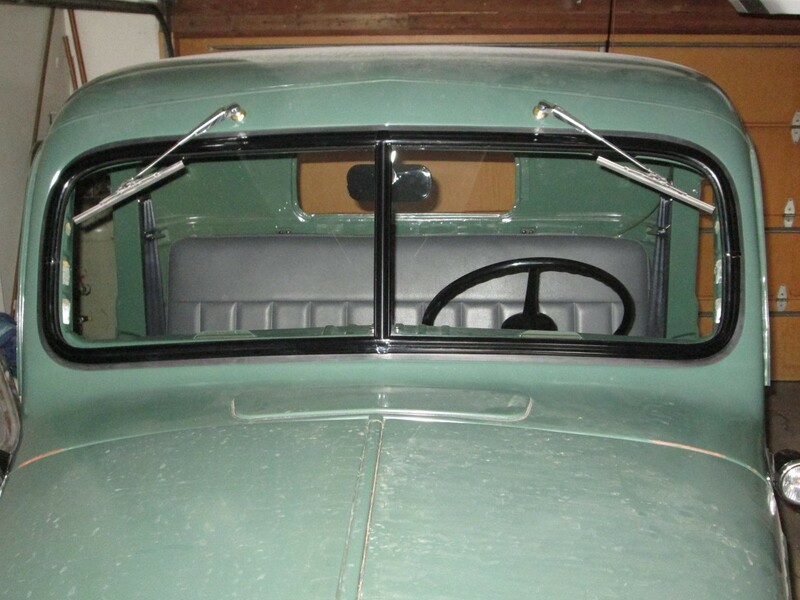 Repro rubber weather strip, repro & NOS parts and accessories. Manuals, books, ads. Restorations. Sponsor of annual Power Wagon rally in June. Midwest Military offers a wide variety of NOS and reproduction Dodge parts for your WWII WC series, early civilian power wagons and M37's. We have a full sheetmetal fabrication facility. We offer only the best quality metal products in the market. Check out our website for photos of the parts and a listing of some of the parts available. If you need custom made metal parts, contact us for details. Matt Tisdale - Power Wagon bed sides, rear fenders, crossmembers, and kick panels. Power Wagon Hood Plates - Cast Bronze reproductions of the originals. Many times stronger than original zinc parts, these are triple chrome plated and bolt up to original mounts. Aircraft hardware is included. Your complete satisfaction is guaranteed. Price includes hardware and free shipping to a North America address. Borgeson, in Torrington, Connecticut, sells all sorts of high quality steering linkage hardware. Daytona Parts - Since 1974, Daytona Parts Company has provided the finest world class carburetor restorations and our line of over 800 new carburetor repair kits for automotive, truck, heavy truck, industrial, agricultural, marine, and small engine applications for the years of 1932 through 1993. We offer everything from component rebuilding to complete frame up rebuilds / restorations back to original or with our Cummins Diesel, 5-speed upgrade packages. Service options include show quality, daily driver, or workhorse classes, with power steering, power disc brakes, and many other upgrades that are available per your specs. 6, 12, or 24 volt all electronic ignition systems complete with instructions for easy do-it-yourself installation. Mar-K, 6625 West Wilshire Blvd., Oklahoma City, OK, 73132, 405-721-7945, bed strips, bed wood, angle strips, tailgates and headboards. 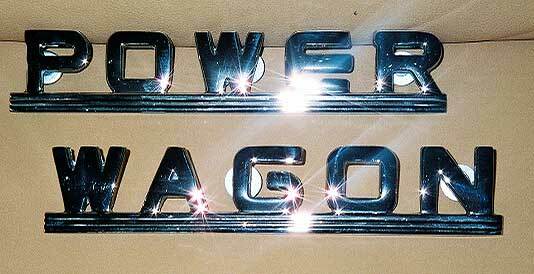 Power Giant Parts - james.longoni@honeywell.com Call Jim (425) 501-0334 Woodinville, WA - 1959 & 1960 Dodge truck parts for sale. Power River Ordnance Depot Kenet Curtin, 254 W. Nees #204, Fresno, CA, 93711-6829 "Specializing in WWII Military Dodge Truck Parts"
Rhode Island Wiring Service, 567 Liberty Lane, PO Box 434, West Kingston, Rhode Island 02892, 401-789-1955 Wire, supplies and harness repair, custom harness. Auto Parts at RockAuto.com - Auto parts for American & Import Autos Built Since 1945. SAE products - Grease fittings, retaining rings etc. St. Pierre Mfg. Corp., Worcester, MA, 01606, 508-853-8010, Wire rope (cable), chains, nylon slings and tie downs. Stockton Wheel can make wheels in any size you want with whatever backspacing you wish. they can even make chrome. 1-800-395-WHEEL. Veteran Vehicles, Bob Stahl, 215 Everett Street Wrentham, MA 02093 (508)384-7698 Highway gearing (4.89) for your Dodge. M-37 and Power Wagon parts. 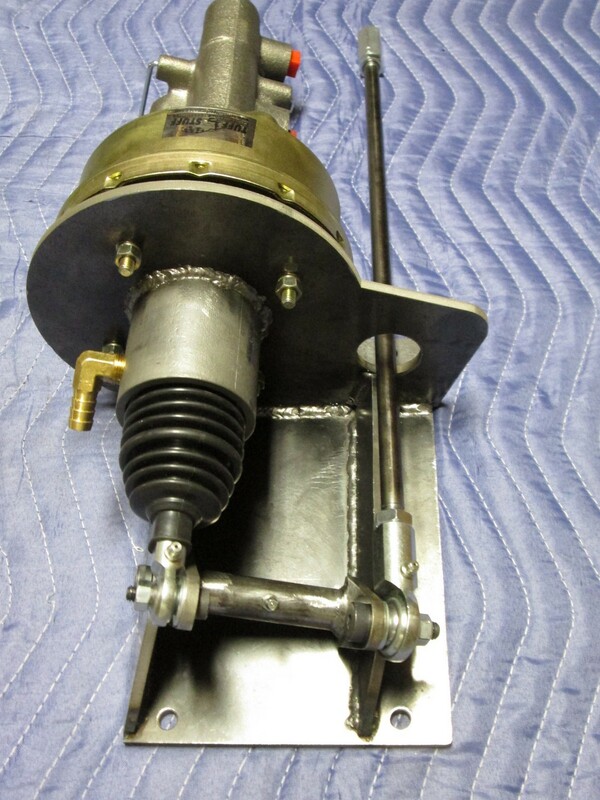 Vintage Air Air conditioning and heating systems for classic vehicles. Looking for auto & truck parts? We'll help you find it! This is a service that locates parts based on the part number you enter. All makes. You just enter the part number, and it returns the dealer, quantity, phone# and can link you to more dealer info . I have found matches and purchased some parts using this service.